In the Western World, when a monopolistic stakeholder decides to cut supply, antitrust authorities protect smaller players, giving them time to organize themselves. However, in this case, the Comco (the Swiss antitrust governing authority) immediately awarded the Swatch Group an ability to reduce deliveries up to 30%. 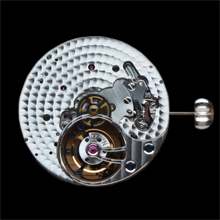 “The decision of the Comco came as a bombshell in the Swiss watchmaking industry” says Peter Stas, co-founder and CEO of Frederique Constant. 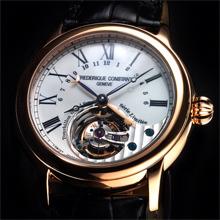 In 2009, Frederique Constant launched its second base manufacture caliber. Component rationalization and assembly efficiency were the top priorities for the development of this caliber. Result was an overall 35% cost saving compared with the earlier Heart Beat Manufacture caliber. Various new technologies were incorporated. 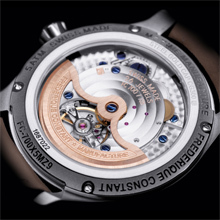 For the first time, a Swiss watch manufacturer introduced a watch with a manufacture caliber below Euro 2000 retail.